Deadline are reporting that Marvel are officially going ahead with plans to create a comedy TV series set in the MCU. The sitcom will focus around a construction crew, the guys that clean up the city after the Avengers have had a super powered brawl across New York. In Avengers: Age of Ultron when Hulk comes to blows with Tony Stark in his Hulkbuster armour, those are the guys that have to tidy up all the mess afterwards. 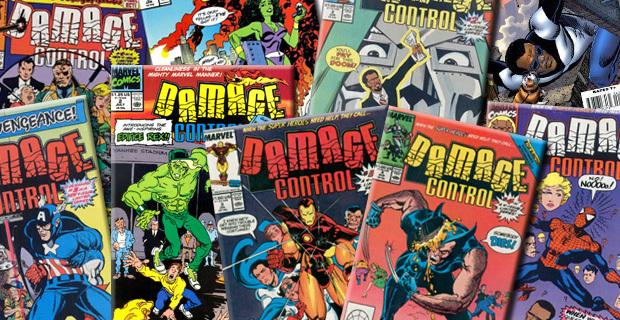 The first ever Marvel comedy show titled Damage Control will be adapted from a comic series of the same name by former executive producer of Daily Show and Colbert Report, Ben Karlin. Although they are very different to what they are going for here they are hilarious comedy shows, it is a good sign that they are acquiring people who have been involved in such quality programming. Damage Control will air on ABC which is already the home of two other Marvel TV shows in the form of Agents of Agents of S.H.I.E.L.D and Agent Carter. There is also a pilot order in the works for a show focussing on two characters that were first established in Agents of S.H.I.E.L.D, Hunter and Mockingbird. The series is to be titled Marvel’s Most Wanted. There is no word yet on whether or not Damage Control will cross over with these other MCU shows on ABC but the minute I hear anything you will be the first to know.